I have come to realise that, in this life, if you do not ask you do not get. Which is an area of my character I am challenging. Normally I am outgoing but very reserved when it comes to certain situations as I do not want to appear cheeky or too forthright. However, I am an entrepreneur and I have to be both smart and savvy on a number of levels. Especially when it comes to working with others and being savvy when it comes to monetary factors (this is a weakness of mine). So part of moving forward and growing with this change in my mindset I have become somewhat of a skills seeker and an indirect negotiator. Scenario one, which I have previously mentioned in another post, was where I met the photographer. Lovely guy who I am communicating with at the moment regarding my ideas of the shoot overall, aesthetics and locations. This was such a random opportunity to meet someone with the qualifications and skills I need. So rather than just observe the photoshoot he was the photographer for, I seized the moment (at the end of course) and enquiried to see if he would be interested in working together etcetera. It was so random but I feel the universe was working with me on this one. Second opportunity was meeting a makeup artist. I went into a well know branded store to enquire about foundation and whilst having a colour match done it transpired that she was also a freelance makeup artist too. So again, seizing the opportunity I told her about the photoshoot and lookbook and we exchanged numbers to discuss things further. Again another moment where I took the courage to enquire about freelancing and as a result I have her support for the shoot coupled with a lower price in exchange for her using some of the images for her own business. A win win situation. It is so interesting that a little shift in my attitude and making enquiries has helped significantly and perhaps is a true sign of showing some entrepreneurship. So onwards and upwards on the asking front. So I am feeling good about the progress on a practical level. Which has a knock on effect with everything else especially concerning the models. My friends have been so supportive in being my models for the day, commiting their time for free and helping me achieve my vision. So far the list is seven with the majority confirming. Exciting times. Now it is about planning the looks for each model. 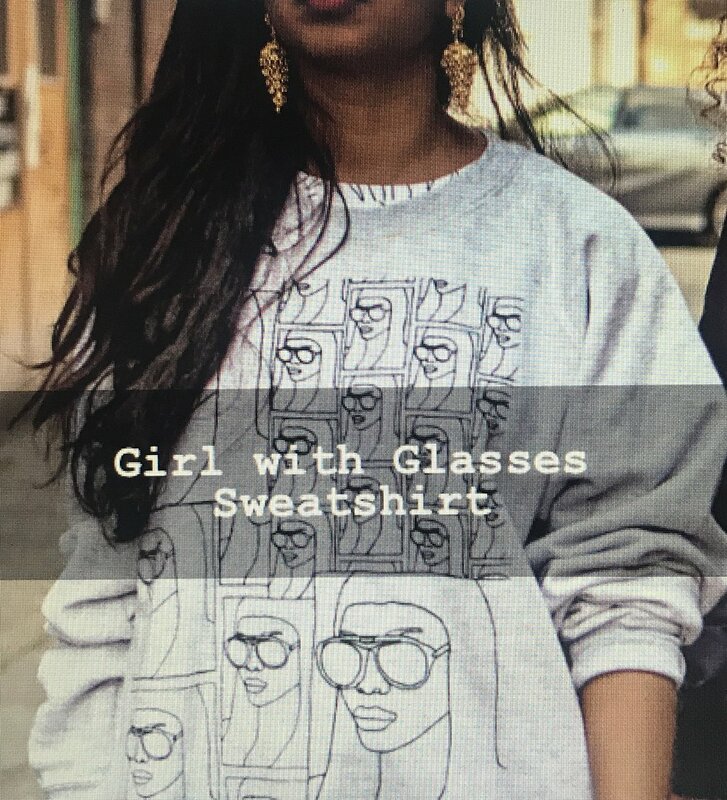 Given their different ethnicities, we are celebrating women of colour after all, I have to consider their own aesthetic coupled with the tshirt and in turn the overall look I want to create. This I am excited about as it is the creative side of my brain being able to have fun but plan effectively to achieve the desired look. I need to remain focused on my vision which coincides with the visual research I have done recently moodboard wise. On my Instagram I have been playing about with looks either on myself or flat shots showcasing the entire look. Again I have included a couple in recent posts but here are a couple that I have not shown yet.